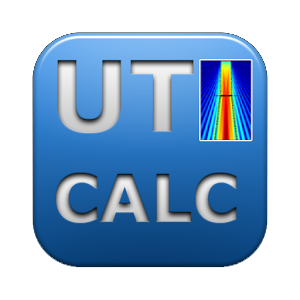 Ultrasound Calc contains all calculations which are frequently required in industrial applications to NDT technicians of levels I and II. 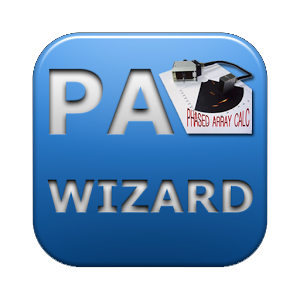 This application turns your smart phone in a powerful calculator which simplifies the complexity of ultrasonic formulas used to select a transducer or setup an inspection into friendly interactive screens. Ultrasound Calc allows to calculate the near field, beam divergence, convergent point; moreover for weld inspections, you can find defect position, stand off and depth. It also includes the incident angle calculation for inspection under immersion conditions. - Calculation of mean transducer parameters and transducer selection. - Calculations for welding tests. - Easily conversion between metric to US measurement and vice versa. Pocket, calc, ultrasound, formulas, formula,NDT, physical! 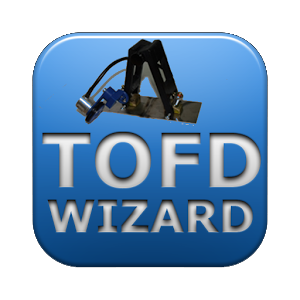 Phased Array Wizard calculates the near field, beam divergence, maximum steering angle, beam focusing spot size, wedge calculation, wheel diameter and encoder resolution and maximum frequency for a given grain diameter among other important parameters. A complete ultrasound terms glossary and a database of material properties are also included (sound velocity, impedance, etc). The application has also a complete Glossary and a database of material properties to look up the longitudinal and shear wave velocity as well as impedance, density and wavelength for a given frequency.